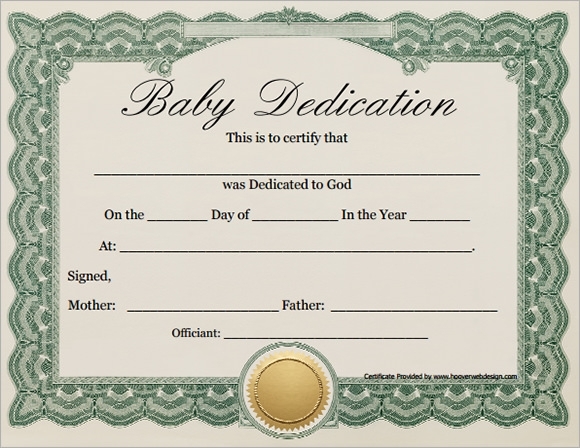 Having a newborn in the family is the most pleasurable feeling for a couple, it resembles for them being a full time parent by taking care of their baby. 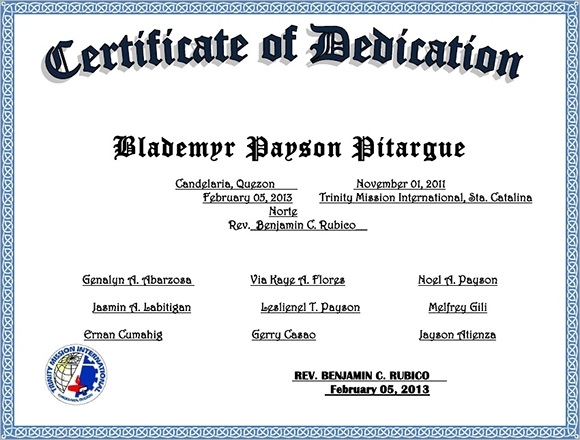 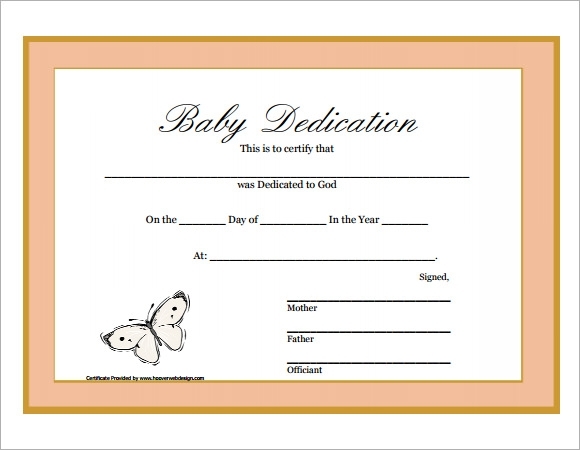 Having a dedication note for their baby signifies the everlasting care and love of a parent or their family members to their new comer not only as parents but their role at their church. 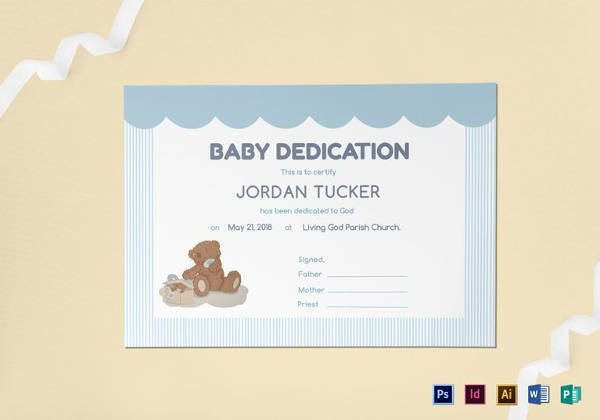 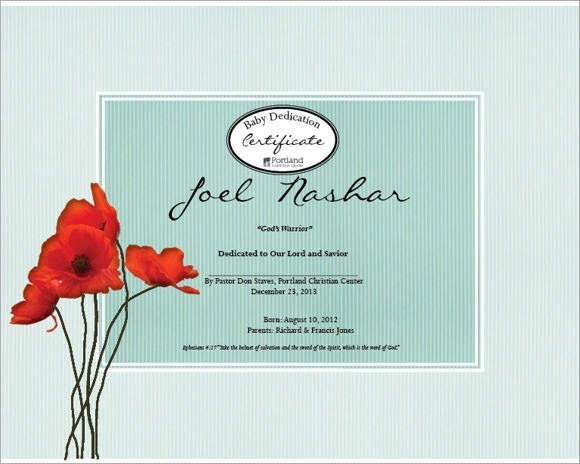 By using a Blank Certificate Templates, you can now add your personal message to the newborn. 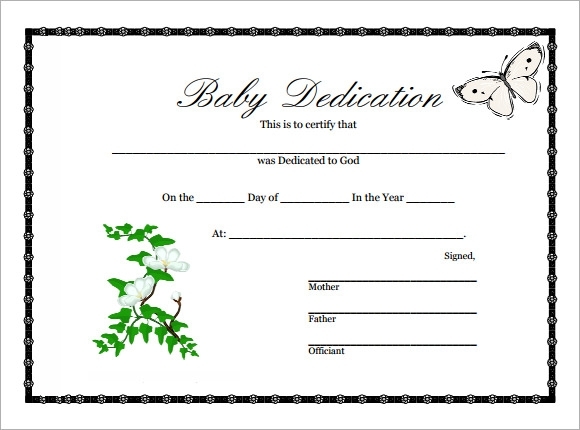 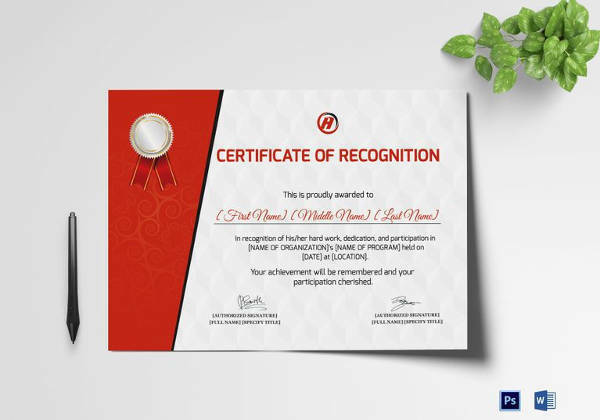 It can be made via Microsoft word or copying it online, usually this template has newborn theme showing cute characters, pictures with name of the baby and the message of loyalty for taking care of the baby especially the religion that the parents are pledging into.